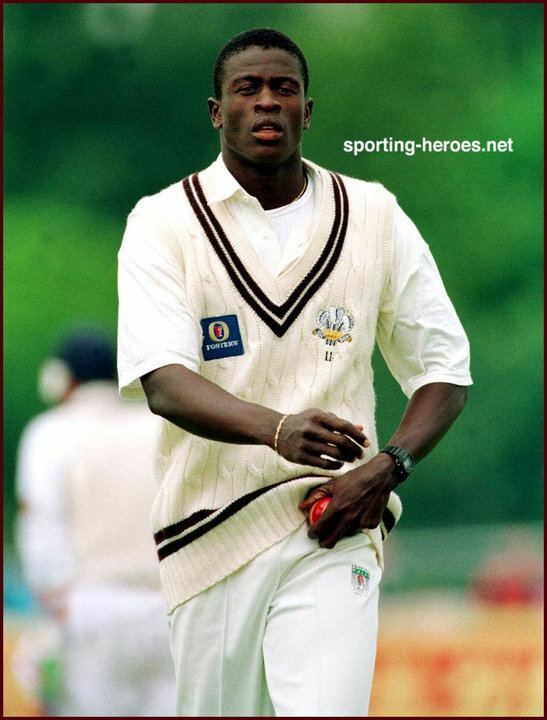 Cameron Eustace Cuffy (born February 8, 1970) is a former West Indian cricketer, who, due to his height (6-foot 8 inches) was often likened to his predecessors in the West Indies side, Joel Garner and Curtly Ambrose. He made his Test debut against India in 1994. He dismissed Sachin Tendulkar three times in his Test career. He was in and out of both the Test and one-day teams in the 1990s and after 2000, his international career was over. As a batsman, he was a tailender, averaging 4.14 in Test cricket. Cameron Cuffy has the distinction of winning a man of the match award in a One Day International without scoring a run, taking a wicket or holding a catch. 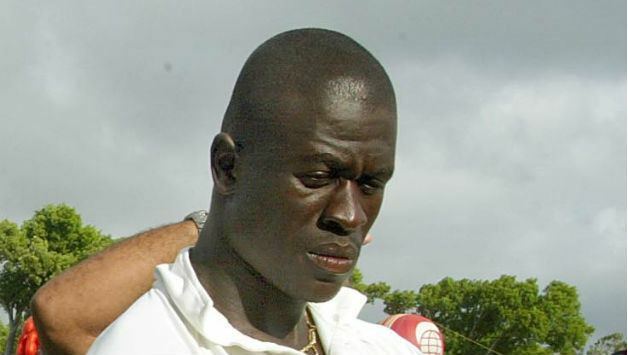 Playing against Zimbabwe at Harare in the opening fixture of a Coca Cola Cup tournament on 23 June 2001 he won the match award for his analysis of 10-2-20-0. As the hosts managed only 239 for 9 in reply to 266 for 5 by West Indies, Cuffy's economy was crucial. No other bowler in the match conceded fewer than 35 runs from his full 10-over entitlement.